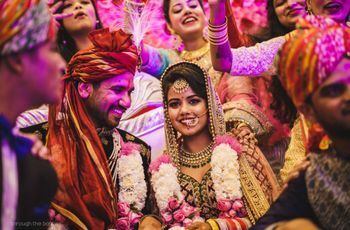 Why The Kashi Yatra ceremony Still Makes Sense For Millennial Grooms In India | Wedding Tips ARE YOU A VENDOR? Imagine a groom deciding to walk out of his own marriage ceremony, thinking it's time he turned a scholar and a sage. Embracing celibacy and eternal bachelorhood along with it. That's the beginning for this story and not even the punchline. Here, we break down the Kashi Yatra ceremony, a regular in most South Indian wedding rituals - be it a Kannada wedding ceremony, an Andhra Reddy wedding, a Tamilian Iyer ceremony and others. The Kashi Yatra stems from the four stages of life as per the laws of Manu, specifically the Bhramacharya Ashram. It relates to how a man contemplates on the wider universe, seeking knowledge and wisdom ahead of his duties for the Grihastha Ashram. The ceremony involves harking back to this custom of a trip to a Guru's abode during that stage. Kashi was historically a focus for higher education and studies, as well as religious and spiritual understanding. A trip to Kashi is a trip to partake from that wisdom. 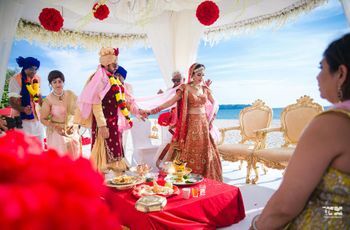 However, in this custom, the concept is twerked on its head, with the groom ritualistically planning a trip to Kashi as he gets a case of pre-wedding jitters. He decides to leave it all behind and run towards eternal bachelorhood before he's talked into some sense by the bride's father and uncles. 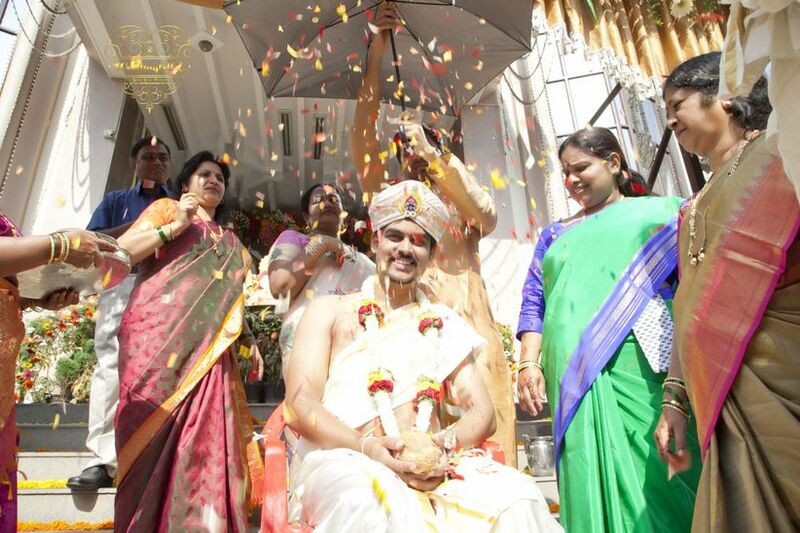 So, how does a groom-to-be declare he's off on a Kashi Yatra? He begins by packing his essentials according to custom. These include an umbrella (for the heat and rains), coconuts (as a snack on the way), some rice, a walking stick and a spare Dhoti. Then comes the declaration, at which point he's stopped and dissuaded from the thought. Usually, held before the Muhurtham this case of conviction leads to a merry chase around the venue while everyone else enjoys a hearty laugh. 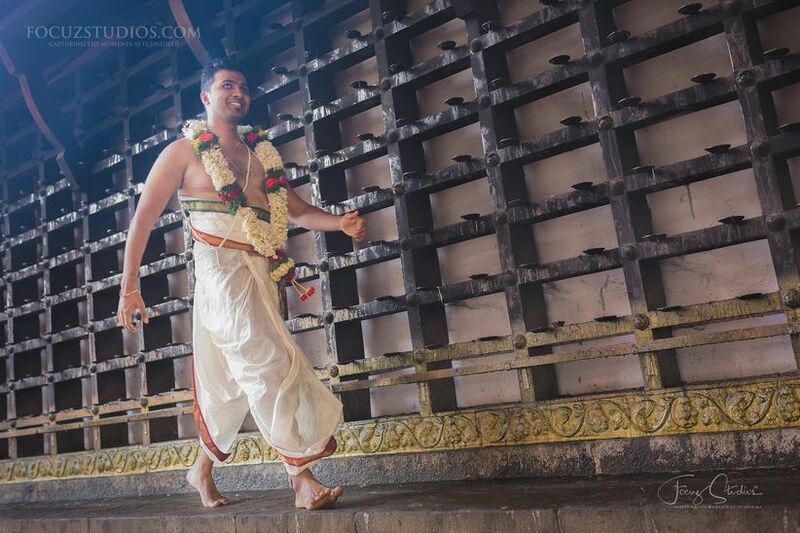 He's then brought back to the Mandap, to pick up his new set of vows and stride into his new life ahead. Ritualistically, the father of the bride steps in when he sees the groom about to make his runaway attempt. He's joined by his wife and the bride's uncles, who come as a backup support for him. He tells the boy how this renunciation of world in order to focus on the Brahman (the true reality), isn't going to make the cut. He shares how the true path to God, salvation and Moksha, the right path is by taking up the second stage of life - the Grishtha Ashram. He sweetens the deal with an offer to marry his daughter who'd make an excellent match for the dapper dude. He shares how the girl would be his soul mates and partner for all of his Vedic rituals and would bring him the spiritual enlightenment. He's also offered suitable gifts for groom to appease him and bring him back to the table, in case he needs some more conviction.. When all's said and done, the groom who's been caught and snared just right, thinks about his choices, the pretty bride and his responsibility towards the world at large. And decides to call it a day and sit down for his own marriage. 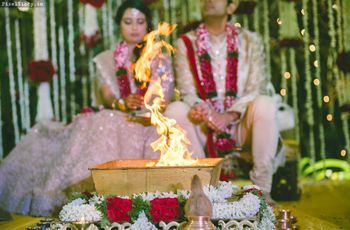 While the ritual seems irrelevant in today's times, it still holds a glimmer of fun and wonder for brides and grooms today. Imagine a techie by day running off to Kashi with an umbrella and a Dhoti, in fear of a wife and a married life? The 100-metre dash of the Kashi Yatra is as fun and games as the newer set of wedding games (for a South Indian wedding) and adds to the fun and festivity of a ceremonial day. It provides a breather between the heavy Sankalpam and the Muhuratham for the wedding, rituals which are applicable to the bride and groom. Do millennial brides hopes for a dash to Kashi as well? Most don't. As they decide and choose their partners and the time of their marriage, they're ready as can ever be before walking down the aisle. And hopefully, so are the men beside them. A Kashi Yatra ritual stills holds that kernel of ancient wisdom within it's now largely symbolic and stylised heart. It's talks of the meaning of marriage and the need for partners together to hold through thick and thin. In that regard, it's not irrelevant or redundant. In fact, it should ideally be a part of all Indian weddings. Liked this read? Then leave your thoughts in the comments below.